Yesterday night the Phillies announced Cliff Lee had been placed on the DL with a grade 1/2 elbow strain. This injury is a major blow to a team that needs all of its players to be healthy. However, it seemed likely that Cliff Lee would hit the 15 day DL at some point due to his durability the past few seasons. Reports say that Lee will be out around three weeks to recover from his injury but, this could change at any moment for Lee. 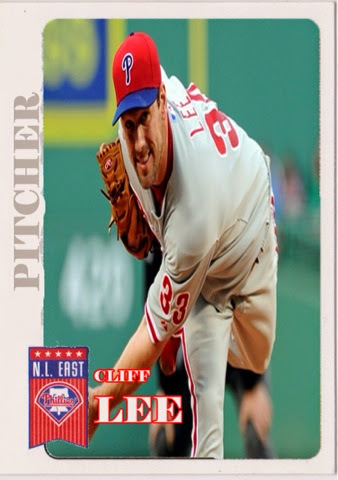 Hopefully Lee will return to the Phillies healthy and capable to return to his form from the past few seasons. However, recent trends by other Phillies pitchers may argue against a successful return for Lee. Roy Halladay's stints on the Disabled List eventually ended his great career after the 2013 season. Let's hope for the best with Cliff as there have numerous elbow injuries this seasons with starting pitchers throughout the major leagues. Many if these resulted in Tommy John surgery which luckily is not the case for Cliff. In Cliff's place the Phillies have called up Darin Ruf as an extra bench player. Darin hit .247 with 14 homeruns and a .348 on base percentage in 73 games last year. His bat should help the Phillies bench by bringing some power and a good on base percentage. Darin started the season on the disabled list and then was optioned to AAA Lehigh Valley where he hit .265 with a homerun in limited action before being called up. We continue our division preview with the AL Central on day 2. The Central looks like it will be a 3 team race between the Tigers, Indians, and Royals, with the White Sox and Twins in re-building mode, but not too far behind. Remember to comment and share your opinions and predictions! The Tigers are looking for a 4th straight AL Central crown, but it's going to be a dog fight in the Central this year. The Tigers have some serious competition with the Indians and Royals both putting together solid teams. The off season was a busy one for Detroit. After losing to the Red Sox in 6 games in last year's ALCS, the Tigers made some major changes. The biggest of course, was trading away Prince Fielder and getting Ian Kinsler in return to play second base. Kinsler will replace Omar Infante at second, which should add to an already potent lineup. 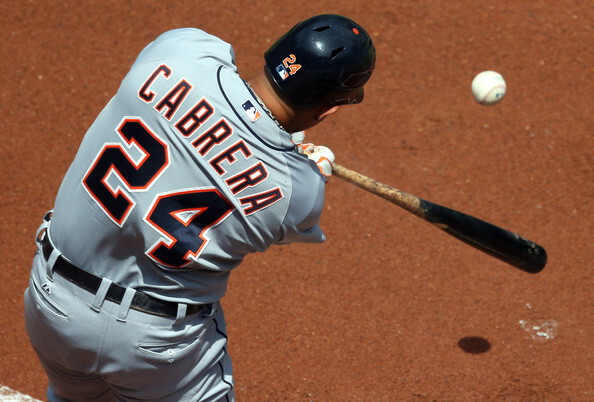 Of course, they still have the two time defending AL MVP monster that is Miguel Cabrera to anchor their lineup. They also signed reliable closer Joe Nathan to help improve a weak bullpen. The rotation remains the best in the division, with reigning AL Cy Young winner Max Scherzer, Justin Verlander, and Anibal Sanchez leading the way. The only glaring weak spot on the roster is at shortstop, after Jose Iglesias went down with an injury. While he was not a offensive weapon, he is one of the best defensive players in the league and Detroit will surely miss him. The Tigers are very similar in talent to last year's Tiger team, but the difference this year is that the Indians and Royals should be better. If Everything Goes Right: The bullpen is much improved from last year, and it pushes the Tigers over the top to the World Series crown they've come so close to the last few years. If Everything Goes Wrong: The bullpen collapses, the offense declines, and the Tigers watch Kansas City or Cleveland take over the Central. X-Factor: Joe Nathan. Nathan has been one of the most reliable closers in baseball throughout the past few seasons; and the Tigers desperately need a strong closer. It seems like a match made in heaven. If Nathan helps Detroit solve their bullpen problems, they could win their first World Series since 1984. The Indians surprised everyone last year, grabbing a wild card spot. It was their first playoff birth since 2007, although it ended in the Wild-Card game when they lost to the Rays. Over the winter they lost starting pitcher Ubaldo Jiminez, but look for Danny Salazar to step up in his absence. Salazar should combine with Justin Masterson and Corey Kluber to form a solid rotation. Their offense is pretty good, with Carlos Santana and Nick Swisher leading the way. The Tribe signed John Axford to take over the closing duties, and he should be a good fit in Cleveland. If Everything Goes Right: The Indians overtake the Tigers to win the AL Central through their clutch pitching and timely hitting. And this time, the Tribe don't go one and done in the playoffs. If Everything Goes Wrong: The offense struggles and the rotation steps a step back, causing the Indians to miss the playoffs. X-Factor: Danny Salazar. Big things are expected of Salazar this year. The Indians clearly have confidence in him, as they gave him the ball against the Rays in the Wild-Card game last October. Salazar pitched fairly well in 2013, posting an ERA slightly north of 3.00 in 10 starts. If the Tribe are going to end Detroit's reign in the Central, they need Salazar to be an ace. The Royals had a low key offseason, with their major moves being signing 2B Omar Infante and OF Norichika Aoki. While they are under the radar moves, they should boost an offense that already has young stars Eric Hosmer, Alex Gordon and Salvador Perez. Closer Greg Holland has quickly become one of the best closers in baseball, and gives the Royals a strong chance to win when he comes into close a game. The rotation is the weakest part of the team, as James Shields is the only truly consistent starter on the staff. However, the offense could be good enough to overcome any shortcomings the rotation might have. If Everything Goes Right: The young offense turns into a wrecking crew and leads the Royals to their first AL Central crown in team history. X-Factor: Mike Moustakas. Just a few years ago, "Moose" was expected to be the next big thing at third base. However, in his 2 full major league seasons, he's hit .233 and .242 and has been quickly discarded as a mediocre third baseman. If he's able to reach his full potential, it would make an already strong Royal offense lethal. Over the winter, the Sox signed Cuban superstar Jose Abreu to a 6 year/$68 million deal. They also dealt away closer Addison Reed and acquired young prospect Adam Eaton in return. This should be a good move for the future. While the White Sox won't compete this year, they're building a young core in ace Chris Sale and Adam Eaton for the future. If Everything Goes Right: Abreu becomes the star Chicago is paying him for, and the White Sox young players make progress, foreshadowing a return to playoff contention in 2015. If Everything Goes Wrong: Abreu is a bust, the young guns struggle, and the South Side of Chicago has to wait awhile for another competitive team. X-Factor: Jose Abreu. All eyes will be on the Cuban sensation in Chicago this season. If he lives up to the hype, the White Sox investment will be well worth it. There's not too much expectations for the Twins this year, but that will change soon. Minnesota boasts the #1 prospect in baseball with Byron Buxton, who should make his major league debut next season. Unfortunately, another highly touted prospect, Miguel Sano, went through Tommy John surgery and is out for the entire season. It's a shame, because Sano was expected to be in the bigs this year, but his development will have to be delayed by at least one year. The other big news from Minnesota this winter is Joe Mauer's move from catcher to first base. The Twins hope the switch helps improve Mauer's health and offense. If Everything Goes Wrong: Sano has trouble returning from surgery, Buxton crashes back down to Earth, and the Twins are forced to wait a few more years. X-Factor: Byron Buxton. While Buxton probably won't see a single pitch in the bigs this year, he's still the best prospect in baseball and the most important player in the Twins organization. The Twins need him to continue to improve if they want to compete soon. We kick off our division preview with the powerful AL East. Over the next 6 days we will go through each division in baseball, giving you our predictions about each team and where they'll be come October. The AL East is the only division in baseball where all 5 teams have a realistic chance to make the playoffs. This division should come down to the wire, just like it always does. Feel free to chime in with your own predictions! The AL East is the best division in baseball, and it's tough to pick who will come out on top. The Red Sox and Yankees have a chance to win it, but the Rays are the most equipped to take the Division title. The Rays had a relatively low key off-season, with most of their moves involving the bullpen. They lost closer Fernando Rodney to Seattle, but signed Heath Bell and Grant Balfour to bolster the back end of their bullpen. Balfour is a step up from Rodney, as Rodney struggled last year to close games. The rotation, which has also been a strong suit for Tampa, will be one of the best in the American League. David Price anchors the staff that also includes young guns Alex Cobb, Matt Moore, and Chris Archer. With those guys on the mound, Tampa will always have a chance to win. The offense isn't the most potent out there, but it plays small ball and executes when it needs to. If Everything Goes Right: The combination of the Rays dominant young staff and shut down bullpen overcome any short comings the offense might have. The Rays take the AL East title, and make a deep (maybe even a World Series) run in October. If Everything Goes Wrong: The young pitchers regress, the offense struggles, the Rays get overrun in the powerful AL East, and there's no October baseball in Tampa Bay. X-Factor: Wil Myers. Myers was the big piece that the Rays received when they sent James Shield to Kansas City before last season. A highly touted prospect, Myers played well last year after being called up mid-season. He hit .293 with 13 Home Runs and 53 RBI's in 77 games. If the Rays are going to make a World Series run, they need the young star to have a breakout season and lead the offense. The defending champions have a tough road ahead if they want to repeat. They're in the toughest division in baseball and as defending champs, they'll have a target on their back. They signed A.J. Pierzynski to play catcher, and he should be a good fit in Boston. They also added relief pitcher Edward Mujica, which should strengthen what is already one of the best bullpens in the bigs. The lineup remains one of the best in baseball with Dustin Pedroia and World Series MVP David Ortiz. The big question mark is the starting rotation. The rotation was average during the regular season, but in October, Jon Lester, John Lackey, and Clay Bucholz turned it on and lead them to the World Series title. If they pitch like they did in October, we could be looking at the first repeat champions since the Yankees, when they did it 1998-2000. If Everything Goes Right: The rotation pitches like they did in the playoffs, the lineup wrecks havoc on American League pitching, and the bullpen continues to dominate. Beantown has another champion. If Everything Goes Wrong: 2012 Lester and 2011 Lackey show up, teams start to figure out closer Koji Uehara and the Red Sox watch the playoffs from home. X-Factor: Xander Bogaerts. The #2 ranked prospect on MLB.com, Bogaerts showed a lot of promise down the stretch last season. Boston expects big things of him and he should be the staring SS on Opening Day. If he succeeds, the Red Sox lineup will be unstoppable. The Bronx Bombers lost the biggest offensive free agent (Robinson Cano), but signed the biggest pitching free agent (Masahiro Tanaka). It was a busy off-season for the Yanks, which doesn't always guarantee success (see 2012 Marlins, 2013 Blue Jays). Even though they lost Cano and Curtis Granderson, they signed Brian McCann, Carlos Beltran, and former Red Sox Jacoby Ellsbury. They're still an older team, but should be in the hunt down the stretch. Plus, they'll have that extra motivation to give Derek Jeter a final season to remember. If Everything Goes Right: C.C. Sabathia regains his old form, and combines with Tanaka and Hiroki Kuroda to form a strong rotation. The offense bounces back after a miserable season and Derek Jeter gets one last chance in October. If Everything Goes Wrong: Tanaka doesn't live up to the hype, the aged offense continues to decline, and the Yankees finish near the bottom of the AL East. X-Factor: Masahiro Tanaka. The man everyone wanted to sign wound up in New York. Now the big question is this, will he be an ace like Yu Darvish? Or a bust like Daisuke Matsuzaka? If he's the former, the Yankees will make a playoff push; but if it's the latter, the Yankees will be in trouble. On paper, the Orioles are a good team, just not great. The offense is elite with Chris Davis, Adam Jones, and free agent pickup Nelson Cruz, but the bullpen and rotation aren't quite there yet. The O's signed Ubaldo Jimenez, but he can be inconsistent and he isn't the ace this rotation needs. They didn't bring in anyone to replace closer Jim Johnson, so that will most likely go to Tommy Hunter or Darren O'Day, and neither have much experiencing closing games. The O's also need young star Manny Machado to return from his gruesome knee injury healthy and ready to contribute. If Everything Goes Right: The rotation and bullpen take big steps forward and the Orioles are in Wild Card position come September. If Everything Goes Wrong: Pitching continues to plague the team, and the offense struggles to keep up. The Orioles return to the AL East cellar. X-Factor: Chris Davis. Davis had a breakout year last season, and if the Orioles want to contend, they need him to do it again. However, he hit .250 in August and September last year and he had an alarmingly high strikeout rate. So, will we see first half Chris Davis? Or Second half Chris Davis? The Blue Jays were the favorite to win the division last year, but instead, finished dead last. They bring back almost the same team this year, hoping it will be different. When they're up to bat, they are scary. Edwin Encarnacion is one of the most underrated hitters in the game. He's hit 78 Home Runs and driven in 214 runs over the past two seasons. Plus they have a guy named Jose Bautista. However, the pitching staff is subpar at best. R.A. Dickey turned out to be a one year wonder, Brandon Morrow was hurt, and Josh Johnson never fully recovered from his shoulder injury a few years ago. If the Jays want to compete, they need a healthy rotation. If Everything Goes Right: Brandon Morrow turns into an ace and the rotation is good enough. The offense picks up the rest of the slack and Brett Lawrie finally breaks out. The Jays are in playoff contention come September. X-Factor: Brandon Morrow. Morrow pitched surprisingly well in 2012, posting an ERA under 3.00. There were high expectations for him coming into 2013, but injuries plagued him throughout the season. Toronto needs him back healthy and he needs to be the staff's #1 in order for them to compete. 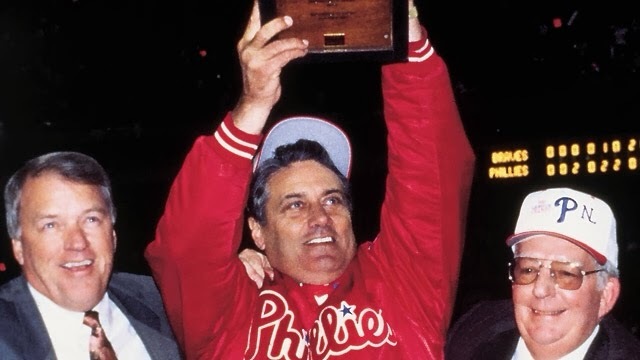 Jim Fregosi, the phormer manager of the 1993 NL Champions Philadelphia Phillies has suffered a stroke and was taken off Life Support. Removing life support means removing the machines or other hospital equipment used to prolong a patient's life such as a ventilator and IV lines. When life support is removed, death is often inevitable. The patient may stop breathing and brain death will ensue before the doctor can confirm a person's death. So Fregosi is not dead as of 7:46pm Feburary 13,2014. However, the loss of life support should lead to his death soon. With this we here will look back at Fregosi's life in baseball. Fregosi was born in 1942. Drafted in 1960 by the Red Sox and then by the Angels in the expansion draft. Fregosi played a key role with the Angels from his Major League debut to 1972. Due to injuries the Angels were looking to move Fregosi. This lead to Jim being involved in one of the most lopsided trades in major league history that sent Noylan Ryan from the Mets to the Angels. The rest of Jim's career was uneventful after the trade, making stops in Texas and Pittsburgh as well. In 1978 Fregosi began his journey as a manager in baseball for the Angels. Fregosi led the Angels to their first division title in their history in 1979. His mark in Angels history led to his number 11 to be retired by the Angels in 1998. He also managed the Blue Jays and White Sox in his career. However Fregosi's greatest accomplishment came as the manager of the Phillies in 1993. Fregosi led a team of nobody's and veterans to the pennant and coming close to a World Series title. Fregosi's time in Philly came to an end in 1996 after a few dismal seasons post 1993. However, Fregosi will always be remembered by Phillies phans as the man who guided the magical team back in 1993. Update: Fregosi died Friday morning at the age of 71, he will truly be missed. Phillies Baseball is Officially Here! Finally, baseball is back! While the upcoming season may not look too bright for the Phils, there's always room for optimism as the Phillies open up Spring Training today. One of the major story lines heading into camp is the health of starting pitcher Cole Hamels. We found out on Wednesday that Hamels will not be ready for Opening Day because of discomfort in his throwing shoulder. Officially, it has been diagnosed as bicep tendinitis, but Hamels is not expected to miss an extended period of time. The Phillies are just playing it safe as Hamels believes he will be back by the end of April. The health of the rest of the Phillies are just as important. Injuries have plagued this team the past two seasons, and if they want to contend, their star players need to be on the field. The core four, Chase Utley, Ryan Howard, Jimmy Rollins, and Carlos Ruiz, have all battled injuries the past few years and haven't been the same when they've been on the field. Another thing to keep an eye on is the battle for the final spot in the rotation. Cliff Lee, AJ Burnett, and Kyle Kendrick will be in the rotation on Opening Day, and Cole Hamels will jump in when he returns from his injury. The other spot is up for grabs. The Phils signed Roberto Gonzalez, formerly known as Fausto Carmona, and Miguel Gonzalez to be in the rotation, but the AJ Burnett signing will push one of them out. Jonathan Pettibone is also in the mix after he pitched well in his rookie season last year. Of course, there will be two rotation spots available in the beginning of the season and it will be very intriguing to see how it plays out when Hamels returns. 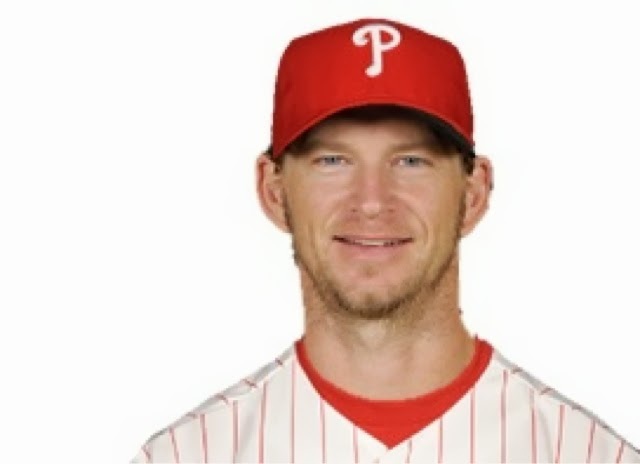 Reports from multiple sources revealed that AJ Burnett, former Pirate, Blue Jay and Yankee, has signed with the Phillies for 16 million over a year. This move makes sense seeing that star pitcher Cole Hamels will not be ready for opening day due to shoulder tendinitis. The dollar amount in this deal is too much in my mind for Ruben to give to an aging pitcher. However this move bolsters the rotation by adding the best ground ball pitcher in the NL. This will greatly help the phillies due to Citizens Bank Park being a hitters park. Phillies fans now can expect a chance at a run to the postseason. However these moves just make the team older while delaying the inevitable part of rebuilding that this franchise will have to undergo. Hopefully Burnett can show his ability that we saw last year in Pittsburgh. 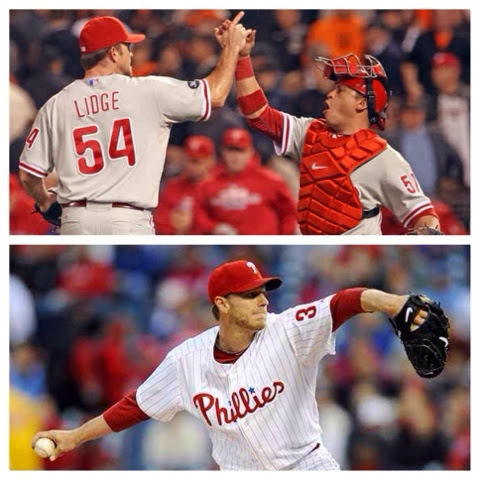 Today the Phillies announced that former players: Roy Halladay and Brad Lidge will be joining the Phillies a special instructors this year in spring training for the first time. Also joining them will be Dave Hollins, Gary Matthews Junior and Larry Andersen. However the most shocking news of the day is the Phillies announced that Mike Schmidt will not be a special instructor during spring training due to a health issue you can read their statement below. "Mike is treating a health issue that requires him to remain near his doctors and will be unable to attend spring training as a field instructor this year. He plans to visit camp in the middle of March as part of his marketing relationship and continue his normal visits to Philly throughout the summer." You wish Mike all the best during his treatment and hope he returns to Philadelphia soon. Hopefully these new instructors can teach some old dogs new tricks. A great logo is essential to a baseball team's popularity and maybe even it's success. So, two writers for the Phillies Phamily (Stevie and Nate) decided to go through and pick the best logo for each team in their history. Credit to sportslogos.net, they have any logo you can imagine and is a great website to check out! Feel free to comment on your favorite logos! Arizona Diamondbacks - This was an old school logo they used in 1998. Usually green and purple don't mix but the D'backs make it work perfectly. It's a shame they changed to red and black. Atlanta Braves - The Braves' script with the tomahawk script is a simple classic. While I don't like the Braves at all, they have a great logo. Chicago Cubs - I love this logo. The Cubs' C is a classic and the bear cub inside it makes it even better. They used it on their caps in the early 2000's. Cincinnati Reds - Simple and classy. Exactly what a baseball logo should look like. Colorado Rockies - There are really only 2 logos to choose from for the Rockies, but this is still a cool logo. The purple mountains in the background is just plain awesome. LA Dodgers - The Dodgers' script is the best in the world, simple as that. It's what I imagine God's handwriting looks like. Miami Marlins - Like the Rockies, there aren't a whole lot of logos to choose from. However, there was a lot of disagreement between which logo is less ugly. We finally settled with this one. Milwaukee Brewers - This is gotta be the best logo ever. It's so simple (just a glove) but also so complex (the m and b hidden in the glove). Plus the yellow and blue together are simply majestic. We really wished the Brewers would dump their current logo and go back to this. New York Mets - Of course we hate the Mets, but we love their logo. The bridge and city skyline inside a baseball is genius. 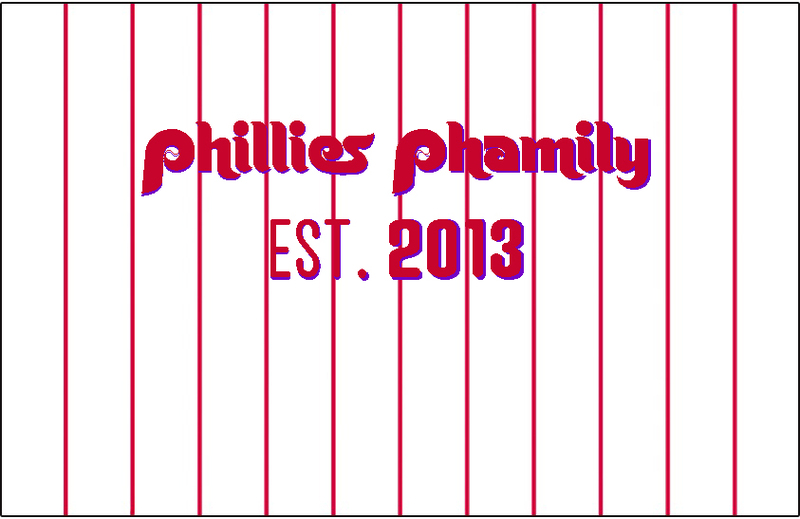 Philadelphia Phillies - The current Phillies have a great logo. It captures America and Philadelphia's history while still giving the team an awesome logo. Pittsburgh Pirates - The Pirates used this as their primary logo until last year. While the logo they use now is nice (the p) this one is just a bit more...intimidating. San Diego Padres - This one caused some debate. The Padres don't have one specific logo that blows you away, so we ended up on their current logo. San Francisco Giants - The Giants have a simple and classy SF to show off their city. St. Louis Cardinals - The Cardinals have such a great logo now, it's hard to go against that. They also have the best jerseys in baseball. Washington Nationals - The Nationals don't really have a good logo, so we went with the Expos logo as the best logo for their franchise. Baltimore Orioles - The Orioles went back to a retro logo a few years ago and it was a fantastic decision. The Cartoon Bird is simply awesome! Boston Red Sox - The Boston B is almost as recognizable as the Yankees NY. The B logo just barely beat out the pair of socks they use as their primary logo now, which is another great logo. Chicago White Sox - The White Sox, like the Padres, don't really have a great logo, so we had to settle with this. Cleveland Indians - This logo has sparked some controversy. I don't get why, I like it. So, that's why it's the best logo in Indians history. Detroit Tigers - The Tigers might have the 2nd best script in baseball (behind the Dodgers of course). The D with a Tiger in it comes in a close 2nd place. Kansas City Royals - The Royals have a nice current logo, and their script looks very similar to the Dodgers, so it must be good. LA Angels - The current A logo is classy, and the halo on top is a nice touch. use their initials as their logo (see: Yankees, Mets, Giants). New York Yankees - No explanation needed. Simply a classic (even though we hate them). Seattle Mariners - The Mariners' cap logo is simple, yet still represents their name well. Tampa Bay Rays - The Rays (back when they were known as the Devil Rays) had a great logo. Some teams, cough cough Miami Marlins, need to learn how to use a rainbow in their logo like the Devil Rays did. Texas Rangers - The Rangers might have the most lackluster collections of logos in baseball, along with the Padres and White Sox. The best they could come up with was in the 80's. Toronto Blue Jays - Like the Orioles, the Blue Jays went back to a retro logo as their primary logo and it was a great decision. Everything about this logo is fantastic.